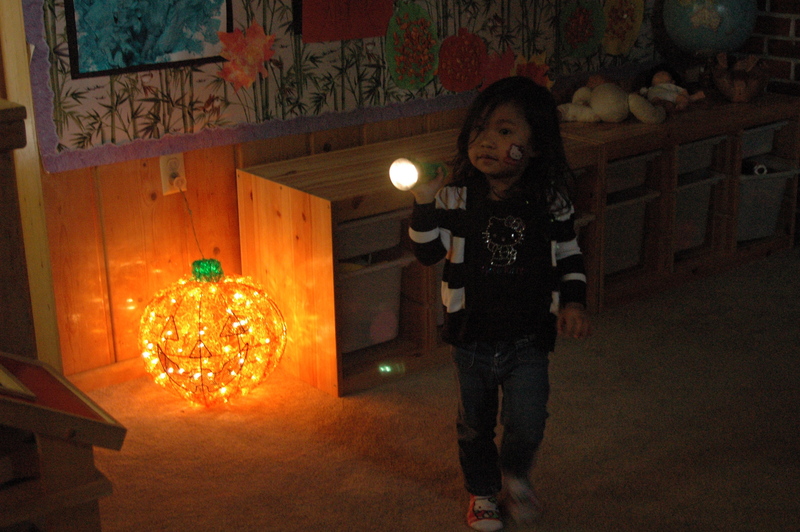 This entry was posted in Fall, Halloween, Holidays, Science, Sensory. Bookmark the permalink. 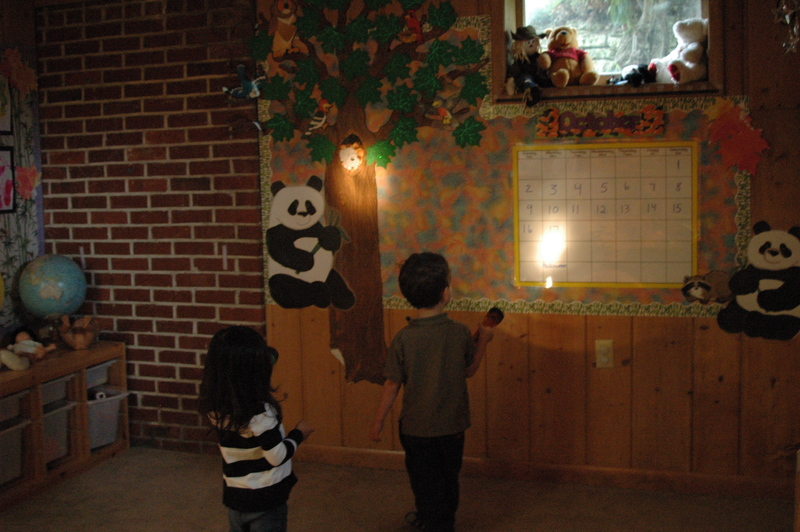 Any suggestions for a librarian who would like to do a shadows and light themed story time? 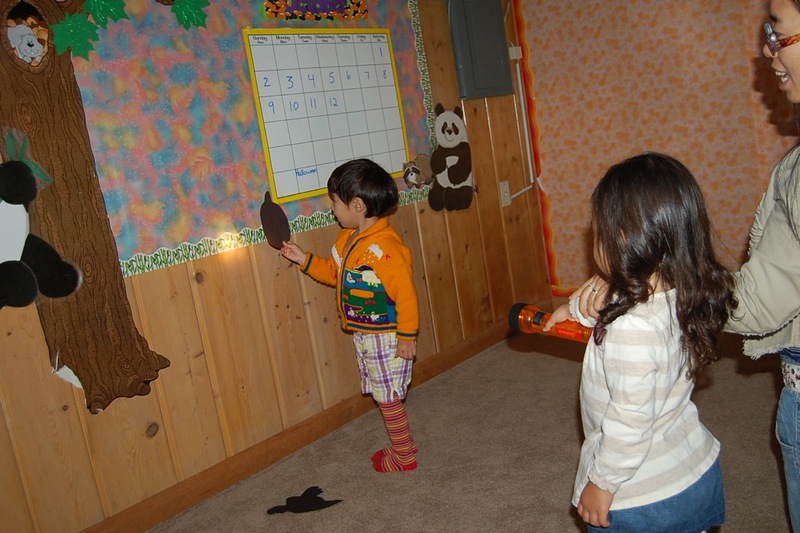 I’m sure there are possibilities for a story time setting, but I never thought to do this during circle time. 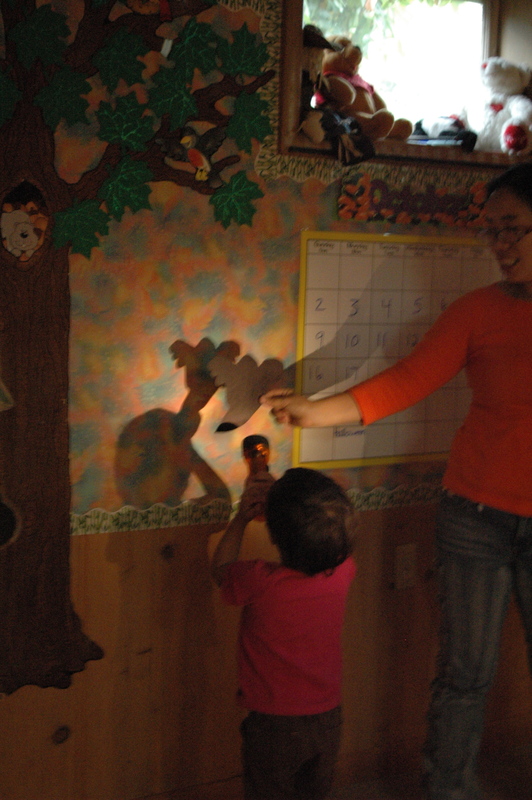 During center time the kids may work where they choose, so we set the kids free with flashlights and construction paper figures to explore as they want. I think it would also depend on what stories are being presented to the kids. 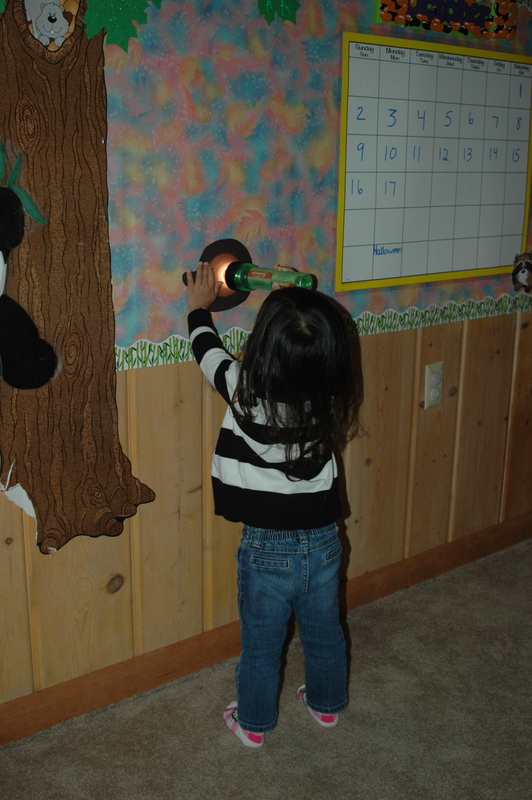 If I were telling stories about constellations I might use flashlights and black construction paper with holes punched to simulate the constellations. 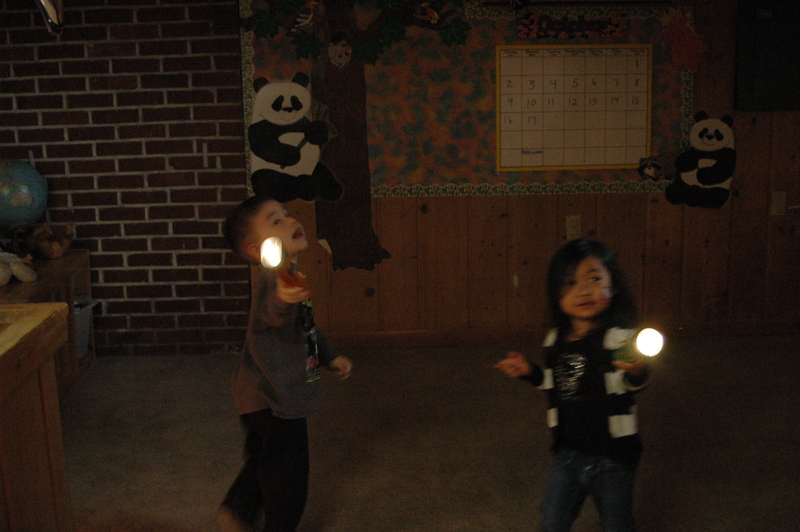 If I were telling Halloween stories I might use the flashlights to make scary faces or do hand shadows. Obviously it is a perfect activity for this time of year.